Mr Obi is the Associate Director of Accounts and Finance at CSEA. 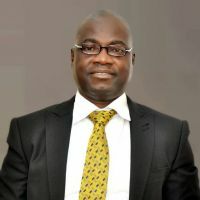 He is a Chartered Accountant with over 16 years working experience and holds a Bachelor’s Degree in Business Administration from the University of Lagos. He started his career with Prudence Finance Limited as a junior investment officer and later transferred to Prudent Merchant Bank Plc (now part of Skye Bank Plc) as a Senior Investment Officer. He also worked with Alliance Consulting as an accountant and was the Chief Financial Officer, a position he held until his resignation. He is also an Associate of the Institute of Chartered Accountants (ICAN).